While many are familiar with the Moroccanoil brand for its superior hair care products, some may not be as familiar with the Moroccanoil Body Collection. The brand was at the forefront of introducing consumers to argan oil for our hair and later launched a line of body care products based with the same infusions. Perusing a sampling from the line, I can share my experience with key products from the Moroccanoil Body Collection. Behold Moroccanoil Body Buff, which is made with naturally exfoliating orange peel; this is an energizing, daily-use scrub that gently polishes away dead skin cells. Body Buff is paraben-free and offers the added benefits of argan oil blended with Vitamin E and nourishing avocado, grape seed, safflower, sesame and sweet almond oils rejuvenate skin with intense moisture. Moroccanoil Body Buff is an essential as we go into the warmer months. 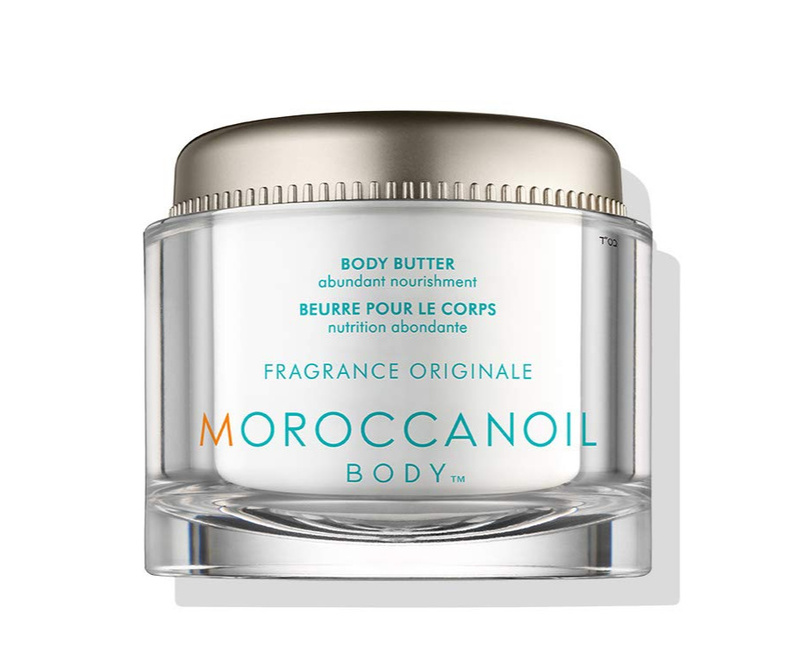 Moroccanoil Body Butter is a luxurious, concentrated body cream that absorbs quickly upon application without leaving behind a greasy residue. This too is paraben-free and offers antioxidant-rich argan oil, shea, cocoa and mango butters melt together to deliver nourishment, while avocado, olive, squalane and pomegranate oils instantly soften and nurture skin. 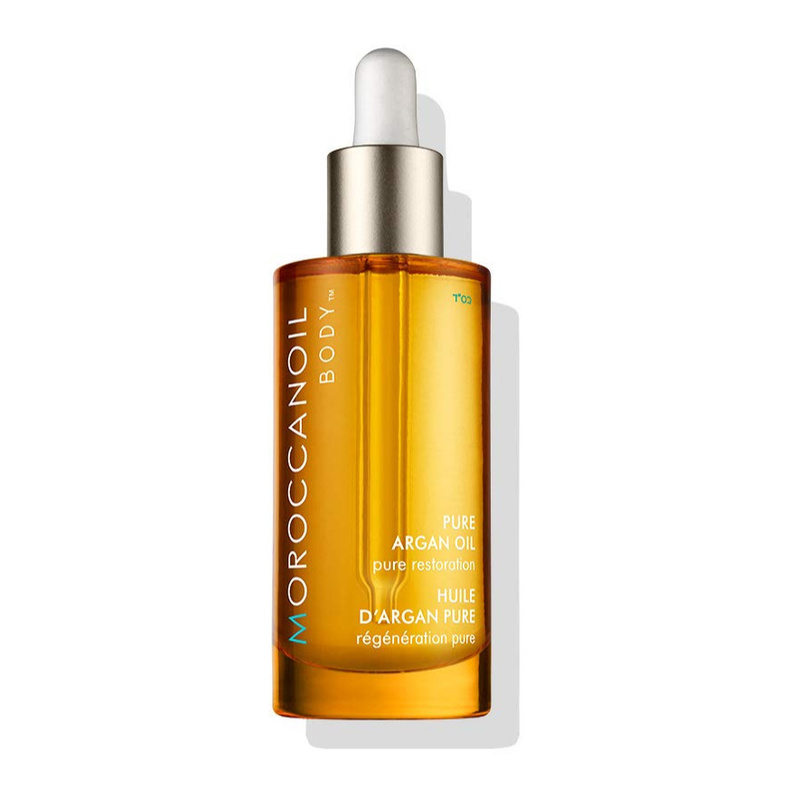 Moroccanoil offers Moroccanoil Pure Argan Oil which can be used on the skin, nails and hair. The price point of this premium grade argan oil was quite pleasing and makes this luxe product easily affordable to all. The non-greasy oil provides multiple conditioning benefits for the face, body and hair making the multi-use product an intelligent investment. It glides on like silk and absorbs quickly for a head-to-toe moisturizing and pampering experience. And although Moroccanoil’s signature scent is delicious, Moroccanoil Pure Argan Oil is fragrance-free for which works exceptionally well when dealing with sensitive skin. 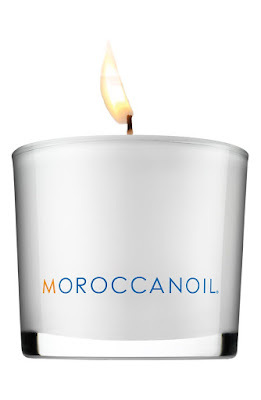 New to Moroccanoil, and rather essential for the mind, the Moroccanoil Candle with Glass Vase. Moroccanoil Candle is crafted in France using premium European wax to softly illuminate and fill the space with the fragrance beloved by so many, creating a warm and soothing ambiance. Many of us won’t be able to jet over to the Mediterranean at whim, but oh how this candle captures the pure essence of the sand, ocean and sky! The Moroccanoil Candle is well crafted, offers a cotton wick that burns for 50 hours and the beautiful double wall glass vase is perfect for storing small personal items once the candle has burned through.